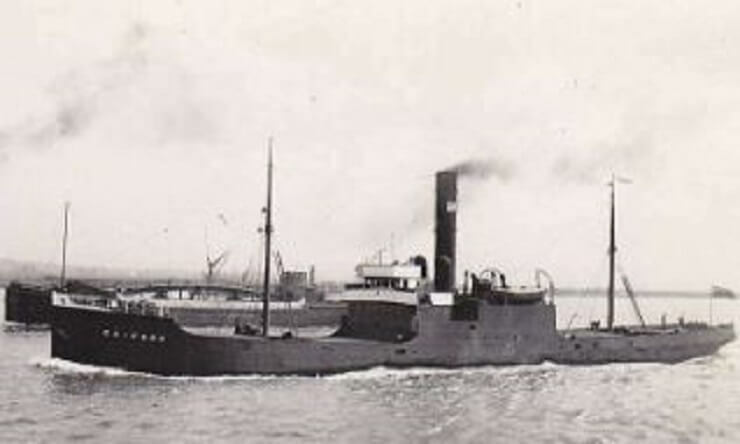 SS Catford (1919-1943) The SS Catford was built in 1919 and was owned by South Metropolitan Gas Co.
SS British Grenadier (1922-1941) The SS British Grenadier was built in 1922 and captained by Master Henry George Jeary. SS Piako (1920-1941) SS Piako was a British Refrigerated Cargo Liner of 8,283 tonnes, built in 1920 by Alexander Stephen & Sons, Glasgow. She was powered by a two stage steam turbines of high and low pressure giving 13 knots. 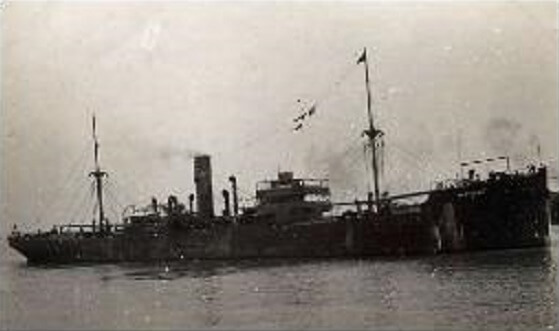 SS Antigone (1928 – 1943) SS Antigone was a British Cargo Steamer of 4,545 tonnes built in 1928. SS Jutland (1928-1942) Jutland was a British steam merchant of 6,153 tonnes, built in 1928 and owned by Tyne & Wear Shipping Co, Newcastle-upon-Tyne.